Todd William Huehns is the fourth-generation funeral director in the Steffen and Huehns families with over thirty years of experience in serving families. His great-grandfather, William O. Steffen, established Steffen Furniture and Funeral Chapel in Shebogyan in the early 1900s. William's son, Leonard Steffen (the second generation), worked as a funeral director in Sturgeon Bay during WWII while also working in the shipyards. After graduating from Worsham Institute of Mortuary Science in Skokie, IL, (now Worsham College of Mortuary Science in Wheeling, IL), Todd worked with his father, Wayne L. Huehns (the third generation), serving families in Sheboygan County from their Huehns Funeral Home locations in Sheboygan Falls and Oostburg. Todd began serving the families of Northern and Southern Door County shortly after 1990 when he came to work for Davis Mortuary (now Huehns Funeral Home). Sylvester "Cy" Dernbach, the owner of Davis Mortuary at the time, had purchased the funeral business from Robert "Bob" Davis some years before. Both, Cy and Bob have passed away. For Todd and his family, coming to Door County was like coming home in a sense with all of the family his wife, Renee Robillard Huehns, has throughout Southern Door County and Kewaunee County. While living in Sturgeon Bay, Todd has been an active member and supporter of the surrounding Door County communities. He is a member and past president of the Sturgeon Bay Optimist Club and has served as past president of the Sturgeon Bay Breakfast Rotary Club. Todd is currently a member of the Sturgeon Bay Noon Rotary Club. He coached local youth sports for many years in Sturgeon Bay and Sevastopol areas. Todd attends the Sturgeon Bay Moravian Church. He enjoys reading and learning about history in general, the history of Door County and has been a member of the Door County Historical Society. Aside from spending time with family, Todd enjoys hunting with family and friends, golfing, boating, traveling with his wife, Renee, motorcycling on his Harley, and following his favorite sports teams, but most of all being grandpa to Kinley and William. Erik Ryan Huehns grew up in Sturgeon Bay and graduated as co-valedictorian of the Sturgeon Bay High School class of 2006. He then went on to study pre-medical sciences at St. Norbert College in De Pere, before deciding to follow in the footsteps of his father and grandfather and two generations before. 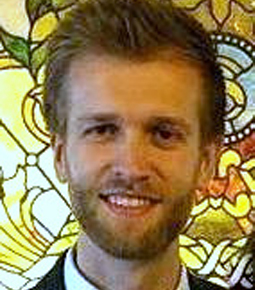 Erik graduated from St. Norbert College in 2010 with a Bachelor of Arts Degree in Mathematics. He studied funeral service at Milwaukee Area Technical College in West Allis, Wisconsin's only school for funeral service, graduating as valedictorian for the class of 2012. 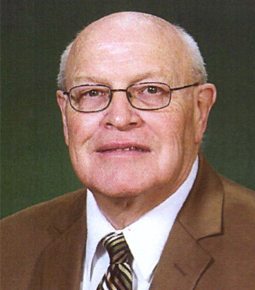 During school, he served as president of Sigma Phi Sigma, the national honorary funeral service fraternity, and earned the Harry B. Goodman Valedictorian Award, the William F. Krause Leadership in Funeral Service Award, and the Legacy Award for being at least a third-generation family member to serve families as a funeral director. 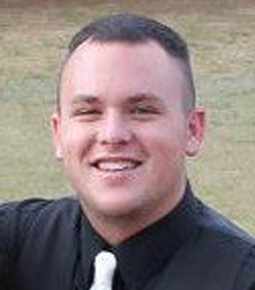 Erik became the fifth generation of the Steffen and Huehns families funeral directors when he received his license as a funeral director in January 2013. He became a certified crematory operator through the National Funeral Directors Association in 2018. In 2012, Erik was united in marriage to Kathryn "Katie" Jean Bobinski, his best friend from college. Katie is an elementary school teacher at Sevastopol Elementary School. At church, has been an active member of the identity committee and the welcoming committee, the church choir (with his wife, Katie), is currently on the educational endowment committee, and serves as lector. He is also an active member of the Forestville-Maplewood Lions Club, where he currently serves on the board of directors, the same Lions club Erik's great-great uncle, Norman LeFevre, was a charter member of. With his (Belgian) family ties to Southern Door and Kewaunee counties, Erik is also a member of the Peninsula Belgian American Club, which meets every month at the old schoolhouse in Namur (in Southern Door County) next to the former St. Mary of the Snows Catholic Church (now the Belgian Heritage Center). Erik has been a former board member and has been active with the Namur Belgian Heritage Foundation. He also serves on the Board of Directors for the United Way in Door County. In May of 2014, Erik and Katie's son, William Henry, was born, and in May of 2016, Erik and Katie welcomed their daughter, Kinley Grace, into the world. Erik and Katie feel blessed to be home in Door County. Brock Justin Huehns grew up in Sturgeon Bay and graduated with the Sturgeon Bay High School Class of 2008. He went on to study and earn his bachelors degree in Human Biology from the University of Wisconsin-Green Bay. Brock studied funeral service at Milwaukee Area Technical Area Technical College in West Allis and graduated in May of 2015. He served as President for his class and of their honorary funeral service fraternity, Sigma Phi Sigma. While in the funeral service program at MATC, Brock received the (1st place) Edward Heidenreich Award for his restorative art abilities. He began serving his funeral director apprenticeship in Green Bay while completing his undergraduate studies at UWGB and finished his apprenticeship back home in Sturgeon Bay upon his graduation from mortuary school. Brock became the second, fifth-generation funeral director in his family when he received his funeral director license in January of 2017. Outside of funeral service, he enjoys spending time with family and friends, hunting, fishing, boating, and camping. Brock has been active with Rotary Youth Interact and helping out with church youth nights over the years. He is a member of the Sturgeon Bay Lions Club. Wayne Lloyd Huehns was born in Sheboygan, WI, the son of the late Roy and Mabel (Steffen) Huehns. He graduated from Central High School in Sheboygan in June of 1954 and enlisted to serve his country with the United States Army the following month. Upon his discharge from service in 1956, he went on to study at Wartburg College in Waverly, IA until 1958. There, Wayne met Janet Marie Meyer, his bride-to-be. They were united in marriage on August 16, 1958 at Immanuel Lutheran Church in Fond du Lac, WI (Janet’s hometown). Wayne had grown up helping his grandfather, William O. Steffen, care for Sheboygan area families through funeral service and went on to study funeral service at Wisconsin Institute of Mortuary Science in Milwaukee. Upon his graduation from WIMS in 1960, he returned home to manage his grandfather’s funeral home (Steffen Funeral Home) and the Rauschert-Huehns Funeral Home in Sheboygan Falls. In January of 1961, Wayne and his family moved to Prairie du Sac, WI where he purchased the Gruber Funeral Home and changed the name to Huehns Funeral Home. In 1964, he and Ray Schwoegler, a funeral director from Sauk City, formed the Sauk Prairie Ambulance Service, a collaborative effort between Huehns Funeral Home and Schwoegler Funeral Home that aimed provide “the Sauk City and Prairie du Sac area with complete and up-to-date service for convalescents and emergency patients of this area.” Their newly purchased ambulance was “completely equipped for every patient with oxygen and a two-way radio system for emergency communications.” (Sauk Prairie Star March 12, 1964) [The Sauk Prairie Ambulance Service still exists today.] In 1966, Wayne sold his funeral home in Prairie du Sac to return to Sheboygan County where he purchased the Dean Funeral Home in Sheboygan Falls. A couple years later, he purchased the other funeral home in town, Rauschert Funeral Home. Wayne cared for Sheboygan Falls area families and extended that care to the families of Oostburg and the surrounding area when he purchased the Krostag Funeral Home in 1984. Wayne’s son, Todd, had earned his funeral director license the year prior, and together, they operated Huehns Funeral Homes, caring for families in Sheboygan Falls, Oostburg, and the surrounding areas. 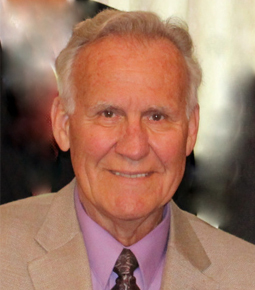 Wayne retired from (full-time) funeral service in 1998, but maintained his funeral director license and was recognized for 50 years of service as a funeral director by the Wisconsin Funeral Directors Association in 2010. Wayne has been a longtime member of St. Paul Lutheran Church in Sheboygan Falls where he and his wife, Janet, currently attend. He was also a member of the Sheboygan Falls Lions Club and a member of both, the Wisconsin Funeral Directors Association and the National Funeral Directors Association. In his retirement, Wayne has enjoyed traveling with Janet and family and friends across the United States, especially in his motorhome, and also overseas. He and Janet have loved spending time with family over the years and attending and supporting their grandchildren in all of their academic and extra-curricular endeavors. Lee Bley is a lifelong resident of West Jacksonport and a son of the late August and Lydia (Herbst) Bley. He attended grade school in West Jacksonport and graduated from Sevastopol High School. Lee is a lifelong member of Zion Ev. Lutheran Church in West Jacksonport. Lee worked as a bookkeeper for Bill Boettcher Automotive (and later Jim Olson Motors) in Sturgeon Bay. Here at the funeral home, Lee helps on visitations and services and also in the office. He has been a wonderful addition to our family/staff. Gary Scharrig is a resident of Jacksonport and a son of Alvin and Diane (Dietrich) Scharring. He graduated from Sevastopol High School in 1988. Gary has worked at Greenwood Supper Club in Fish Creek. He currently serves as a pastor with Immanuel Lutheran Church in Baileys Harbor and currently manages the Homestead Suites in Fish Creek. He has been a part of our family-helping at the funeral home since around the time when Todd and Renee initially bought the funeral home. Gary is a licensed agent for burial agreements and is able to help families pre-plan and pre-fund for their funeral services. He also helps on visitations, funerals, in the office, and maintaining the facilities. Those who know Gary, know what a tremendous heart he has. He's always there to help. Jeremy Wheat is the son of David and Jody (Zahn) Wheat. He graduated from Sevastopol High School in 2011. Jeremy has worked at Horseshoe Bay Golf Club, the Door County Medical Center Skilled Nursing Facility, and Peninsula Property Management. At the funeral home, Jeremy helps on visitations and services and also with maintaining the facilities and grounds. He is an avid sports fan and currently bowls on the Huehns Funeral Home bowling team in the Apple Valley Majors Tuesday night league. Christian is the youngest son of Todd and Renee. He graduated from Sturgeon Bay High School with honors in 2011 and went on to study bio-mechanical engineering at Marquette University in Milwaukee where he earned his bachelor's degree. While at Marquette, Christian served as president of the Triangle Fraternity (for engineers, architects, and scientists). He completed internships with GE Healthcare, Rockwell Automation, and Michael Best & Friedrich LLP. Christian is currently a student at Northwestern University School of Law in Chicago, IL. He is considering becoming a patent attorney. Christian has grown up helping at the funeral home. From cutting the lawn to helping on funerals, he has always been there to make sure everything is taken care of. While we miss not having Christian at home, we're excited for what life has in store for him! Mark Schuster is a native of Sturgeon Bay. He owns and operates Bay Shore Outfitters in Sturgeon Bay and Sister Bay. At the funeral home, Mark helps on visitations and funerals. Mark's professionalism is greatly appreciated by our family and the families we serve. Sylvester J. "Cy" Dernbach, Jr., 70, of Sturgeon Bay, passed away Saturday, December 20, 2008 after complications following a hip fracture last December 2007. He was born November 29, 1938 in Green Bay the son of the late Sylvester Sr. and Helen (Ketelhohn) Dernbach. He graduated from Green Bay East High School in 1956. Cy served in the U.S. Army, and the U.S. Army Reserves for 4 years. He then attended Pharmacy School at Ferris Institute in Big Rapids, Michigan. He later changed his course of study to Mortuary Science at Val Beyer's Institute in Milwaukee. Before attending mortuary school he apprenticed at Lyndahl Funeral Home in Green Bay for one year. While at mortuary school he worked at Rasch Roetz Funeral Home and at Dobratz Funeral Home in Milwaukee. After graduation from Mortuary School he worked at Fitch Lawrence-San Fillipo Funeral Home in Madison. On November 24, 1962 he married Gloria M. Rupiper in Green Bay at St. Patrick's Catholic Church. They moved to Sturgeon Bay in 1963. He worked for Davis Mortuary for two years before returning to Lyndahl Funeral Home in Green Bay in 1965. In August of 1973 Cy returned to Sturgeon Bay and worked as a funeral director at Davis Mortuary, purchasing the funeral home in 1989. In 2001 Cy sold the funeral home to Todd Huehns who he worked with since 1992. His dedicated service to the community of Sturgeon Bay and Door County will not be forgotten. He was a member of St. Joseph Catholic Church in Sturgeon Bay. Cy also was a member of Knights of Columbus 4th Degree, Treasurer of Kiwanis Club, Quality Market Animal Sales Board Member, Honorary Life Member of Ducks Unlimited, Life member of Whitetails, Apple Valley Major Tuesday evening Bowling League, Neighbor to Neighbor board member and vice president, president of St. Joseph School Board, an usher, a communion distributor, and the Holy Name Society. He was instrumental in starting the Booster Club at Sturgeon Bay High School. Cy enjoyed hunting, fishing, making wood. Survivors include his wife, Gloria; four children, Tom (Susan) of Springfield, Oregon, Tim Dernbach of Chula Vista, California, Dan (Kate) LaJolla, California, Kristin (Ted) Blackwood of Cambridge, Wisconsin; seven grandchildren, Brittany, Beret, Gus, Sam, Hannah, Emma, Amanda; one sister, Mitzi (Al) Lenss of St. Louis Park, Minnesota; one brother, Robert (Suzi) Dernbach of Appleton; sister-in-law, Barbara Dernbach of Marine City, MI; brother-in-law, George Greenwood of Mexico; one aunt, Celia O'Connell of Green Bay. Preceding him in death were his parents; sister, Kathleen Greenwood; two brothers, Ken and Roger. A Mass of Christian Burial was celebrated at 11:00 a.m. on Saturday, December 27, 2008 at St. Joseph Catholic Church with Fr. Dominic Peluse scj and Fr. Anthony Birdsall as celebrants. Cy was laid to rest in St. Joseph Cemetery. Friends called from 4:00 to 8:00 p.m. Friday evening at Huehns Funeral Home, and at the church on Saturday from 10:00 a.m. until the time of services. A parish wake service was held at 7:30 p.m., Friday evening. Memorials may be made in his memory to Neighbor to Neighbor or Crossroads at Big Creek. The Dernbach family would like to extend special thanks to Neighbor to Neighbor, Jean Marsh and the staff at Whispering Pines, Dr. Bradley Nelson, and AsceraCare Hospice for the many kindnesses shown to Cy. Sign guest book and offer condolences or share a memory at www.huehnsfuneralhome.com. 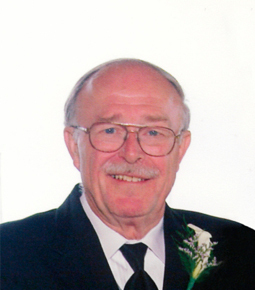 Orville Alfred Gauger, 82 years, of Sturgeon Bay, passed away Thursday, April 15, 2010 at Whispering Winds CBRF in Sturgeon Bay. 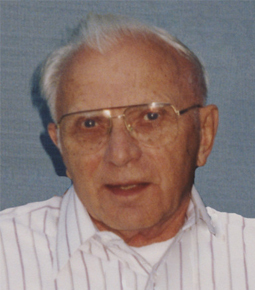 He was born on December 14, 1927 in Fish Creek, the son of William August and Elizabeth Freida (Ahrens) Gauger. Orv graduated from Gibraltar High School in 1947. On September 16, 1950 he married Eunice J. Englebert at the St. Joseph Parsonage in Sturgeon Bay. He proudly served his country in the United States Army from September of 1950 until his discharge on August 15, 1952. 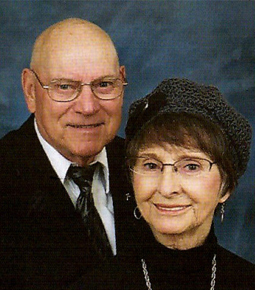 Orv was employed with Peterson Builders, Inc for more than 35 years retiring as head inspector. He also served his community as a volunteer firefighter with the Sturgeon Bay Fire Department for 35 years. For over 40 years he worked as a funeral assistant with Davis Mortuary and later for Huehns Funeral Home. He was a member of St. Joseph Catholic Church where he was an usher, PBI Retirees, American Legion and the Parkinson’s Association. Orv was a past member and president of the Sturgeon Bay Kiwanis Club. In his free time he enjoyed golfing, hunting, fishing, playing cards, doing carpentry projects and sports. Orv loved sports, and was especially proud to see his grandsons’ baseball games. He loved to dance to polka music! He his survived by his wife of 60 years, Eunice; his daughters Susan Austad and Char (Tom) Lodl; grandsons, John (Paula) Austad and Matthew (Jill) Austad; and great-grandchildren, Dezaray, Landon, and Hoyt. He is further survived by his brother, Chet (Esther) Gauger; sisters, Dorothy Sawyer and Betty Stanecki; his godchildren, Shari, Doreen and Robin; many nieces and nephews; sisters-in-law, Lois and Angie Gauger. He was preceded in death by his parents; brothers, Reginald and Harvey; sister, Emily Spittlemeister; son-in-law, Tom Austad; a great-granddaughter; brothers-in-law, Alfred Spittlemeister, Norbert Sawyer and Norbert Stanecki; and his beloved dog, Dusty. A Mass of Christian Burial was celebrated on Monday, April 19, 2010 at 11:30 a.m. at St. Joseph Catholic Church with Fr. Anthony Birdsall officiating. Entombment followed at St. Joseph Cemetery Mausoleum. Military Honors were provided by American Legion Post #72 of Sturgeon Bay. Friends and family called at the church on Monday from 10:30 a.m. until the time of Mass at 11:30 a.m. In lieu of flowers, memorials may be made in Orville Gauger’s memory for the Wisconsin Parkinson Association, the Sturgeon Bay Fire Department in care of Pioneer Fire Company, or the Wisconsin Arthritis Association. Huehns Funeral Home was in charge of arrangements. Sign guest book or offer condolences at www.huehnsfuneralhome.com. Kenneth Eugene Bauldry, 83, of Sturgeon Bay, passed away Friday afternoon, February 24, 2017 at Bornemann Nursing Home in Green Bay after suffering a stroke two weeks ago. He was born July 13, 1933 in Sturgeon Bay, the son of the late Harry Sr. and Avila (Trepanier) Bauldry. Ken graduated from Sevastopol High School with the Pioneer class of 1951. He sailed on the Great Lakes before serving his country with the United States Army in Austria and Germany from 1954 until 1956. Ken was very proud that his family’s service to our country’s military spanned the last five generations of Bauldrys. On February 23, 1957, he was united in marriage to Harriet Vivian Coel at St. Phillip's Catholic Church in Green Bay. They were blessed with 60 years of marriage. Following Ken’s service to our country, he was employed with Western Electric then later with Wisconsin Bell. He retired from working in telephone service technology in 1984 and was able to enjoy time on the golf course, tending to his garden, hunting, and walking. Those who knew Ken were probably visited and gifted each harvest season with a bag full of freshly-picked vegetables. He loved hunting with his boys and family friends. Ken was a natural athlete and naturalist. He loved being outdoors, and he loved to play baseball. Winning many trophies and honors in high school as a pitcher continued for years after in the Door County League. Ken continued playing while in the service where he was recognized as a great arm and pitched for his base touring around Europe in the Army League. When he was honorably discharged, Ken was a valued player in the Green Bay Fast Pitch League where he pitched for the Parish Printing team. He was a talented golfer and played in many Door County Golf leagues. Ken also worked for the Bertschinger Family at the Alpine Golf Course in his retirement, a golf course where he caddied as a child, walking down the bluff to the golf course from the Bauldry Family Farm. Ken was a valued and wonderful part of the staff and became part of the family at Huehns Funeral Home in Sturgeon Bay in the 2000s as he helped on many visitations, funerals, and also in caring for the funeral home facilities and grounds for over 10 years. He and Harriet were members of Corpus Christi Catholic Church in Sturgeon Bay. Ken was also a member and former Post Commander of the VFW Post #3088 in Sturgeon Bay. He will be deeply missed by his beloved wife, Harriet; six children, Mark (Val) Bauldry of Jacksonport, Lori “Dede” (Jeff) Process of Green Bay, Todd (Chris) Bauldry of Sturgeon Bay, Scott (Laurie) Bauldry of Jacksonport, Craig Bauldry of Long Beach, CA, Corey Bauldry of Sturgeon Bay; 15 grandchildren, Gwenn Bauldry of Eugene, OR, Jessie Bauldry of Minneapolis, MN, Aron Bauer of Nibley, UT, Brady Bauer of Woodinville, WA, Cody Bauer of Omro, Kailey Bauldry of Sturgeon Bay, Kyle Bauldry of Sturgeon Bay, Emma Clark of Forestville, Megan Karnopp and Amanda Karnopp of Green Bay, Rosy Bauldry of San Francisco, CA, Essie Bauldry of Sacramento, CA, Nickole Bauldry of La Quinta, CA, Brandt Bauldry of Seattle, WA, Mason Bauldry of Sister Bay; five great-grandchildren; one brother, Harlan (Patty) Bauldry of Egg Harbor; three sisters in-law, Ginger Bauldry, Norma Bauldry, Susie Bauldry; two brothers-in-law, Ronnie Daubner, and Jon Schneeberger; Harriet’s family, in-law’s, Margie Van Ness of New Franken, Barbara Jandrain of Green Bay, Alvin Vaness of New Franken, Joseph (Jeanette) Coel of Waterford. Also many nieces and nephews. Ken was preceded in death by his parents; six brothers, Harry Jr., Howard, Donald (at age 15), Vincent, Myron, and Gene; three sisters, Arzettta (Bob) Witalison, Leila Faye Daubner, Lucille Schneeberger. Ken’s life was honored with a Mass of Christian Burial held at 11:30 a.m. on Wednesday, March 1, 2017 at Corpus Christi Catholic Church. Military honors by the United States Army and the VFW Post #3088 followed at the cemetery. Ken was laid to rest in St. Joseph Cemetery Mausoleum. Friends called from 4:00 p.m. until 8:00 p.m., Tuesday, February 28, 2017 at Huehns Funeral Home in Sturgeon Bay with a parish wake service prayed at 7:30 p.m. Visitation continued at church, Wednesday morning, from 10:30 a.m. until the time of Mass. Expressions of sympathy, memories, and photos of Ken may be shared with his family through his tribute page at www.huehnsfuneralhome.com.